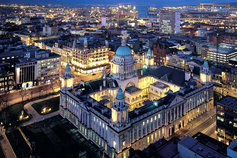 Deal insights for Northern Ireland and the Republic of Ireland. Our 2019 M&A outlook surveyed many leading executives and M&A advisers in Northern Ireland and the Republic of Ireland for their insights on trends for the year ahead. The majority of NI respondents (77%) expect M&A activity for 2019 to be at or above 2018 levels, and believe 2019 will be a buyer’s market. This could be attributed to the potential impact of Brexit and the political uncertainty in NI impacting on valuation and deal appetite. Findings show that debt continues to be the funding source of choice for 67% of respondents in NI with attractive terms and new entrants/alternatives across the island. We’re the business advisors of choice for companies of every size and in every sector - right across Northern Ireland.